I realized when posted my goals for January and the rest of 2015, I completely forgot to fess up on how I did in December. So…just for those keeping score, how’d I do? Finish another draft of Too Far Gone. Write something for the fun of it over my Christmas holidays (Not sure if this will be my superhero story for Tesseracts 19, or my sekkrit project for the Illuminaughty, or both). Maybe take a run at a couple of those yearly goals that can still feasibly be reached. Hmm. I wrote a draft of my superhero story, and managed about 10000 words of my Illuminaughty novella. 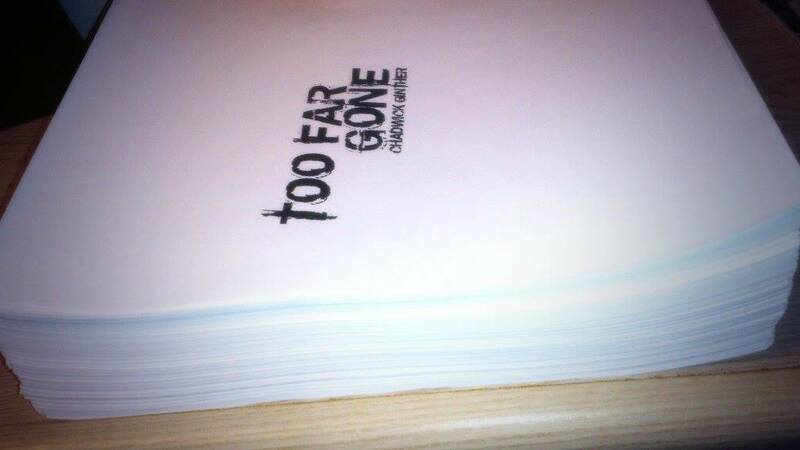 Made good progress on that last draft of Too Far Gone but didn’t quite get it done over my Christmas break. A couple of the chapters that were next in order were much rougher than I’d remembered them. The writing for fun was definitely necessary though. I felt a big recharge of the batteries as I created something new instead of fixing something old. As for cleaning the office…attempts were not even made. The state of organization in my office has degraded to the point that I didn’t think I could tackle it in a full day, and I never seemed to have two days in a row without something else requiring my attention. Maybe tidying can be a reward for handing in Too Far Gone? It is done, and submitted to my publisher. And on that note: cue the music. (Warning: Author may not appear exactly as pictured.) So, that’s one goal down, how’d I do on the rest? That’s all for now! Write on!